Funk Fixer, an herbal goat treat made by yours truly, is a blend of very nutritive herbs in treat form. It’s perfect for ill, senior, failing to thrive, or recovering goats. Many people give it to rescue goats and goats under stress. We give it when we can’t quite figure out what’s up, but we know something isn’t right. That isn’t to say we give it as a band-aid. 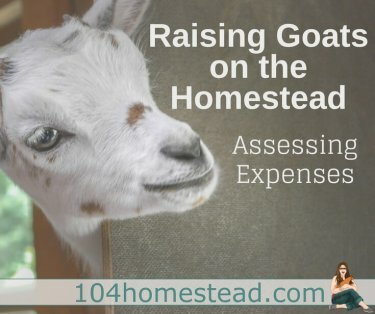 When something is wrong with your goat, it’s important to diagnose what the problem is. Funk fixer is just to help while you figure out what’s going on. In some cases you shouldn’t wait for more symptoms or assessment. Your goat should receive medical attention immediately. Symptoms that warrant an immediate trip to the veterinarian include isolation for extended periods of time (prey animals will hide illness until they don’t feel like they will survive any longer), they lay down for the majority of the day, or they are extremely bloated. Goats are easily stressed. Emotional stress includes being moved to a new herd, having herd members removed, or being moved to an unfamiliar area. Physical stress includes being transported, extreme weather (temperatures as well as precipitation), and bullying from other goats. Good nutrition, like that from an herbal blend that focuses on body systems, organs, blood cleaning, and maintenance, can help a goat through these stressful events. Sadly, he did have maggots in an exposed area of his original wound, that was hidden in his beard. peroxide and SWAT, to keep away flies. Maggots literally oozed out of the poor fellow, but O firmly believe Od gotten every one. I was SEARCHINg his bandage diligently, daily. pressed coconut oil, frankincense essential oil, and 2-3 other essential oils, with a pirate patch for moisture and to block sun damage. SOS, my poor little guy has had is rough.